We understand that having ‘medical equipment’ in your home can sometimes feel clinical or obtrusive, despite its necessity. Especially for children, young people and older users with dementia, it’s important to keep your home feeling like a home and to maintain a positive environment, for families and carers too, that’s why we created the OpeTrack Art Unicorn Design for Dorset Family. Our considered solution is colour. Not only does colour play an important role in the overall aesthetic of a space, it has many encouraging psychological impacts – on an individual’s mood, emotional well-being, productivity, learning and behaviour. OpeMed are no strangers to colour. We’ve dabbled with a splash of lemon yellow here and a pop of pink there, especially with our bathing equipment; it certainly makes a bathtime that much more exciting when you’re bathing in your favourite colour. If a lemon yellow or a pop of pink in your bathroom doesn’t quite tickle your fancy, we have some innovative and bespoke new ways of injecting colour, patterns, fun and familiarity into transfer equipment. Our OpeTrack Art, a relatively new addition to our accessories range, comes with the notable accolade of offering all the positive psychological benefits that colour can give, as well as being totally customizable to suit whoever might be using the Hoist and making the space remain as special and personal as possible. For a family in Dorset, pretty pink with Unicorns was of course the only choice. Designed specifically for them, the magical creatures now gallop along the length of the ceiling track. 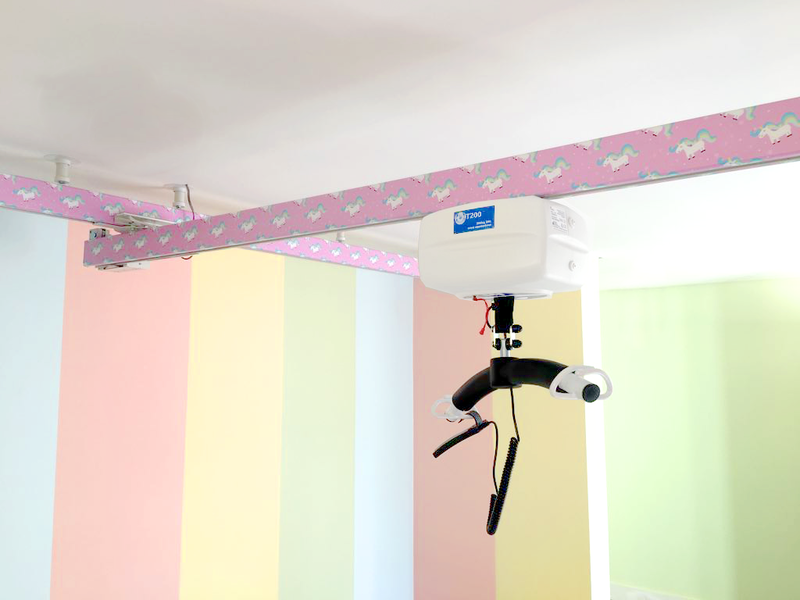 The track blends perfectly into their young daughter’s room and is a delight for her every time the hoist is needed. It’s great to see this in practice, and the creativity needn’t stop at Unicorns. Are they Football mad or wishing for blue skies whatever the weather? Perhaps they’re budding astronauts, ready for take-off or a jungle explorer? 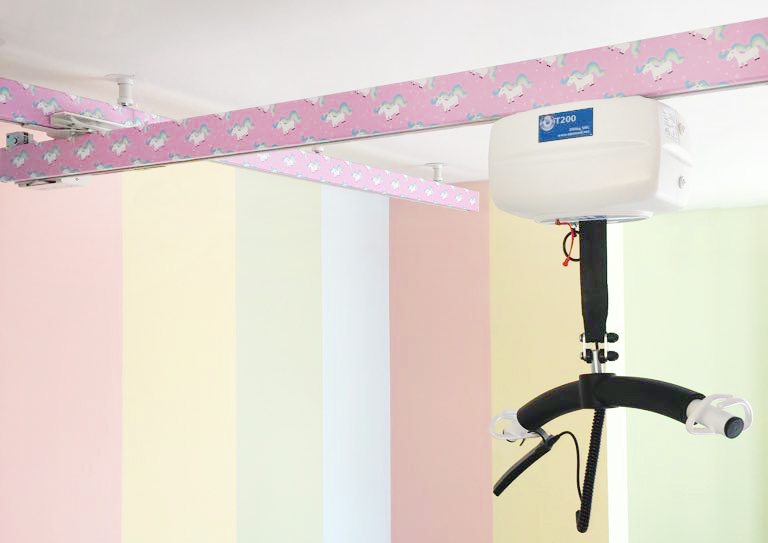 Matching your Ceiling Hoist Track to rooms’ theme or a favourite colour are just a few applications for this versatile accessory. 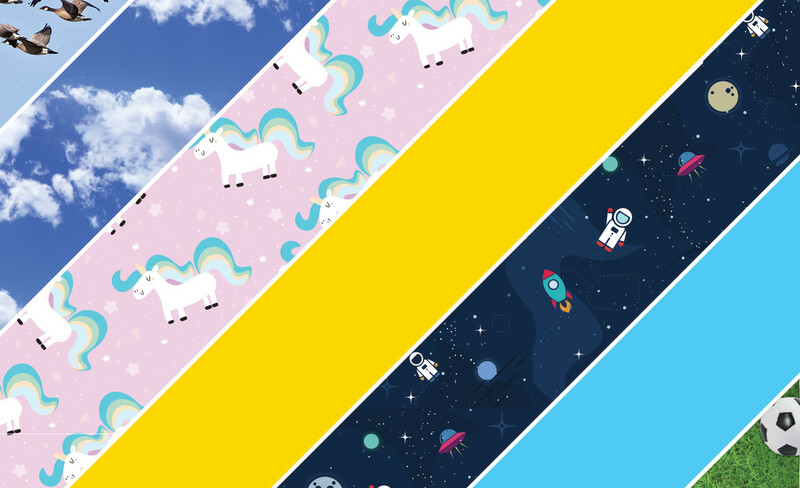 Ensuring Hoisting equipment is familiar and friendly for young people is paramount, and the OpeTrack Art is a fantastic extra that can do just that – whether with a rainbow of colours or galloping unicorns. To find out more about our OpeTrack Art and personalising your Hoisting and Bathing solutions contact us today and speak with an OpeMed advisor on 01252 758 858 or click here to email us.